it was another beautiful day here in Maryland... hope tomorrow is as well! i wish it would just stay like this, not too hot, not too humid... but i'm sure the summer heat will be back soon. it tends to switch back and forth for awhile on the East Coast before the cool weather arrives for good! 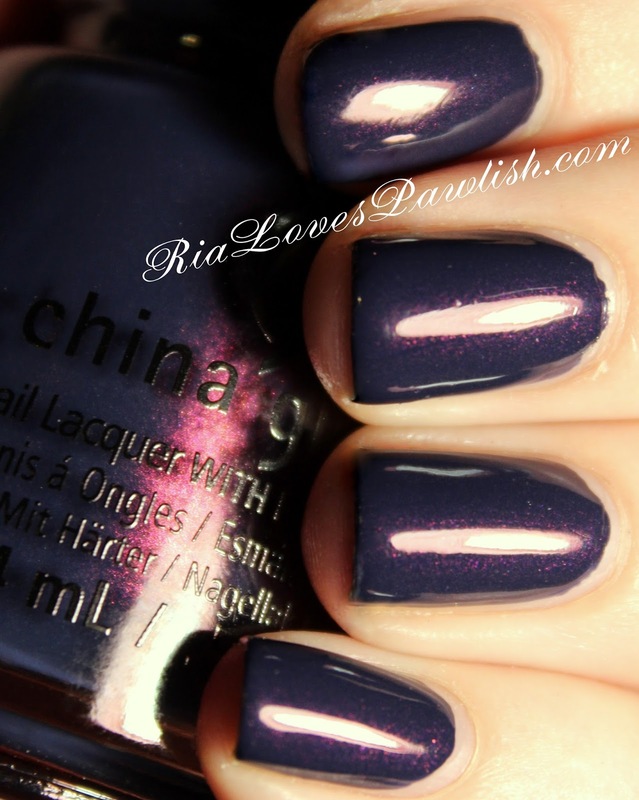 today's China Glaze The Great Outdoors polish is Sleeping Under The Stars! (it's a press sample, kindly provided to me for review). it's a dark blurple (blue/purple) shot through with VERY subtle pink shimmers. i was hoping it would be more obvious on the nail, but you do have to hold your nails at the right angle to see it. the shimmers are more visible outside, but i do think it adds to the depth of the polish... it doesn't look like a normal navy creme! the formula... it's awesome. it's easily a one coater, but because i can't control myself, i went ahead and added another one :) it has some shine upon dry down, but i recommend a glossy topcoat to really bring it out! two coats Sleeping Under The Stars, topped off with one coat Salon Perfect Crystal Clear Top Coat. (both are press samples).